Wisdom of Life. : How I tame my tiger man? JF is a strong character young attractive lady who has recently fallen in love with a handsome prince. I was the one who matched them together, naturally know what is happening. Though the man is mature in handling his own business, he is still too innocent in romance and love. Whereas JF is one year older, tends to be more intelligence and capable in this new relationship. She was smart to call me last night, asking for some tips and advices to best nurture a good romance. As I was their match maker, I guessed I had to assist them for their betterment. This was what I told the exciting girl. The man is a tiger who should lead, and the woman is the trainer who should tame the tiger. Just like the grand circus, where the lady animal trainer with one single hand could soften the tigers on show. Tigers are ferocious animals but if they are properly trained and taught, their wildness can be tamed to your fancies. Physically and mentally man could be stronger than woman, but women who know how to use their soft and tender touch would easily melt the iron heart of men. I told JF, never use threat and anger to control her boyfriend. Rather her sexiness and feminine charm would be her strength to draw her man attention. A successful woman in love is the one who needs not control her man and yet the man is too happy to be in control by her. 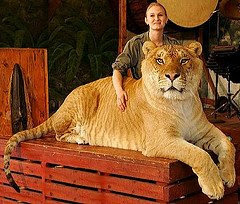 Tame the tiger to be a kitten and the woman would be the proud owner of her pet. A tiger roars with thunder fear but a kitten just 'meom meow' to her delight. I believe little darling and many great lady readers would agree. Otherwise would appreciate if you could offer some suggestions to my friend JF who is too keen to learn. I am sure you are right coz I feel the same..."I am the master of the house but when my little darling said no, I will say no too". Can you use this picture for advertising purposes? I am sorry you can't, the tiger might go after you.